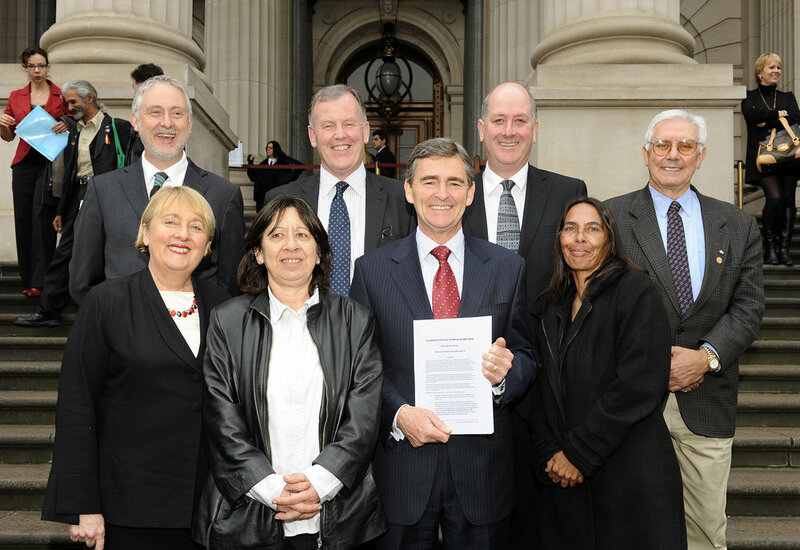 Over a four year period from 2006 to 2010 Victorian Traditional Owners successfully developed and negotiated an alternative framework for settling native title claims in Victoria. The conclusion of these efforts saw the commencement of the Traditional Owner Settlement Act 2010 (Vic) in September 2010 and it represents a highpoint of alternative native title settlement processes in Australia. The Act provides a framework for negotiating an out-of-court settlement of native title for a Traditional Owner group without the need for the lengthy and costly processes that are usually required under the Native Title Act. It enables Traditional Owners to enter into agreements with the Victorian State Government to achieve comprehensive settlement of claims with real and lasting benefits such as the grant of freehold land, joint management of public lands and the foundation for sustainable economic development. Traditional Owner groups applying for a native title settlement under the Act are required to lodge a Threshold Statement, which is evaluated by the State Government. Once a Threshold Statement is accepted the State and the Traditional Owner group may commence negotiating a settlement package that meets the State’s requirements and the aspirations of the particular Traditional Owner group.